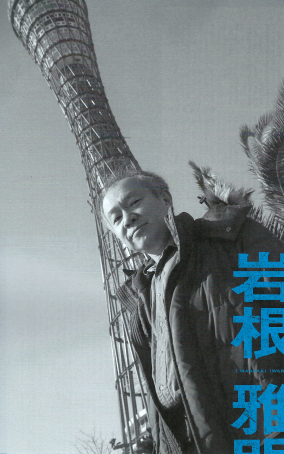 The March 2015 issue of the animation magazine Animage (アニメージュ) published a lengthy interview with Masa'aki Iwane (岩根雅明), one of the head animators for the Pokemon franchise, in its 175th installment of its "I Want to Talk to This Person" (この人に話を聞きたい) column. Born August 13th, 1965. From Osaka. Blood Type: A. He aspired to be an animator during his university days, went through the animation department of the Osaka Designers' College, and later got himself a job at Studio Cockpit. He's done key animation, animation supervision, and miscellaneous other work on a variety of different projects over the years. He's worked on all of the Brave animated series in the franchise. On the shows Gatapishi and Dororonpa! Mr. Iwane started doing the storyboarding, directing, animation supervision, key animation, and in-between animation all by himself. He's also been working on Pocket Monsters since the beginning and has done entire episodes' worth of animation supervision and key animation by himself. Fans of dynamic action in their animation really enjoy his work. Mr. Iwane currently lives in Kobe City in the Hyogo Prefecture. If you're an animation fan who passionately watches the Pocket Monsters series you've surely picked up on how, every few episodes, the pokemon will move more dynamically than usual. That's thanks to Masa'aki Iwane, someone who's been with Pokemon since the beginning and has been in charge of doing entire episodes' worth of key animation all by himself. He makes episodes worth watching. And if that wasn't enough, the quality of his work seems to have been upgraded in recent years. How in the world does he approach his job? And what's the reason for him to continuing doing “solo key animation”? Animage: I've been enjoying watching Pocket Monsters (1997) for years. Iwane: Thank you very much. Animage: Earlier you said that this was the first time you've been interviewed. Iwane: Yes, this is the first time. I've been buying Animage and reading this column for a while now but I've been experiencing it as an ordinary reader, not as someone who would ever be interviewed for it. And so I was really surprised when I got the call to do this. Animage: You've never been interviewed about anything related to Pokemon before? Translation note from Dogasu: The "mook" (a portmanteau of the words "book" and "magazine") that he's talking about here is probably referring to the What it takes to make the Pokemon cartoon feature in The Memorial Book of Orange Islands. A translation of that feature (Iwane fingers and all!) can be found here. Animage: I've been paying attention to your work for a while. The thing that prompted us to interview you now was the special that aired last year, Pocket Monsters XY Special Episode The Greatest Mega Evolution Act 21. Foonote 1: Pocket Monsters XY Special The Greatest Mega Evoluton" is a series of specials that air during Pocket Monsters XY's timeslot. The main character is a Trainer named Alan, not Satoshi. Two Acts have aired as of this writing and both of them were storyboarded and had its animation directed by Yuuji Asada while Masa'aki Iwane handled the animation supervision and key animation. Animage: In particular, the final shot of the special with all the Mega Evolved pokemon coming out one after the other was really well done. It really got me worked up. And not only was the action amazing but the shot itself was pretty long! It was unbelievably long! Iwane: (laughs) That cut alone probably used more than a thousand drawings. Animage: The number of key animation drawings alone must have been incredibly huge. Iwane: It absolutely was (laughs) But it helps that there's no limit to the number of drawings we can stack on top of each other now that we're in the digital age2. If I had tried to make this during the analog era I would have had to really use my head to juggle how all those cels would have been placed. Footnote 2: During the analog days, cels were used in the production of animation. These cels were not completely transparent and so if you stacked a bunch of them on top of each other the colors of the cels on the bottom would start to look different or even be obstructed completely. For that reason limits were set up as to how many cels you could stack on each other. Animage: You would have had to think about which cells go where3. You would have had to think about things like "If this character is on Cel A but then moves to Cel B from this point..."
Footnote 3: “Think(ing) about which cels go where” means you divide an image into parts so that, for example, a background character is on Cel A, his or her mouth movements are on Cel B, and the foreground character is on Cel C. If the shot in question is a particularly complicated one then you might have a character from Cel A need to jump up to Cel C.
Iwane: Exactly. A character simply moving from Cell A to Cell E would mess up the colors so we had to be careful not to allow them to make large jumps like that4. But now that everything's digital we can move the characters around freely without having to think about that anymore. Thanks to this, long shots like the one at the end of Act 2 become a lot easier to do. Footnote 4: The “large jumps” he's talking about is when a character moves from one cel layer to another. The cels are stacked on each other in alphabetical order; the cel on the very bottom is Cel A, the cel on top of that is Cel B, the cel above that is Cel C, etc. And so if you have a character on Cel A who needs to move cels in the middle of a shot, having him move to Cel C is preferable to having him jump all the way to Cel E. If the characters jump around as stated in the interview then there's a chance the colors will be messed up. Animage: Not only was the action in The Greatest Mega Evolution Act 2 great, but even the scenes where the characters were just walking around were cool. Animage: And the camera moves around a lot too. Iwane: (laughs) That's thanks to the hard work of the 3D staff. Animage: The key animation moves around too, though, right? Iwane: Of course. And it helps that we're allowed to use more drawings for the Mega Evolution specials than we are for the regular episodes and so we plan for this back during the storyboard stage. I try to make sure the studio gets their money's worth when I'm drawing these specials. Animage: You've basically become the head of the Mega Evolution specials at this point. Iwane: That seems to be the case at the moment. I might be lucky enough to do all of them when all is said and done. Translation Note from Dogasu: Mr. Iwane's prediction came true; he ended up being the animation director for Acts 3 and 4 as well. Footnote 5: By “number of drawings” the interviewer means the number of drawings allotted per episode. Iwane: I believe the number of drawings we were allowed to use per episode was around the same as what other series were up until about Pocket Monsters Best Wishes (2010). But starting with Pocket Monsters XY (2013) we were able to move away from those limitations. Now I'd say each episode uses about 20% to 30% more drawings than before. Animage: And so you're saying the Mega Evolution specials use even more drawings than the regular episodes, which themselves have seen their numbers go up and their animation become more fluid. How much time did you spend on the key animation for the specials? Iwane: I sometimes stopped to help out with other episodes or things like that but for the Mega Evolution specials it took me the better part of two months. Animage: The schedule's that tight? Iwane: If it isn't then the rotation we have in place wouldn't work. The regular episodes take about a month and a half to do the key animation for. Footnote 6: “Solo key animation” is, as the name implies, when one person does an entire episode's worth of key animation by him or herself. In Mr. Iwane's case he also wears the animation supervisor hat on top of doing entire episodes' worth of key animation. Iwane: I do the whole thing by myself, right down to the smallest detail (forced laugh). These days we're not hounded about the number of drawings like we used to be but before I was mindful of how many drawings I was using as I worked. Studio Cockpit, the company I work for, is one of the companies to which Pokemon is outsourced7. We receive the budget and if we produce more drawings than what's allotted then we lose money. But then if the number of drawings you submit is too much below what was budgeted for then you get people angry at you for that as well. Footnote 7: “Outsourcing,” in this case, means an outside production company orders an episode's worth of animation direction, animation, touch ups, backgrounds, and filming. Translation Note from Dogasu: Studio Cockpit closed its doors on March 31st, 2016, a little over a year after this interview was conducted. The following day Mr. Iwane posted on his blog that he wanted to find a way to keep being able to do Pokemon and to preserve the name of "Studio Cockpit." Animage: Because if you have too few drawings, then the animation isn't any good and not worth watching. Iwane: Exactly. Studio Cockpit's stance is to make sure we go just under the number of drawings allotted8, and then I do a little less than even that. You know how, when we're doing the rough cuts for all the key animation, we can see how many drawings we'll have by the end? Well right before we start cleaning them up we check and if we have any drawings left over we might say "let's add some more drawings to this cut." And if we don't have enough left we'll say "let's trim this down a bit." And doing all that is easier if it's just me making all those calls. Footnote 8: In the days when there was a limit to the number of drawings, Studio Cockpit episodes would aim to have fewer drawings than the series average. Animage: You could say that one of the big things we wanted to find out with this interview was why you want to do this “solo key animation.” Are there any other reasons you work this way? Iwane: Well part of it is that it's just the way I like to do it. In the beginning the episodes of Pokemon that Studio Cockpit would be assigned to would have Yuuji Asada as the animation supervisor and Akihiro Tamagawa as the key animation director. When we were doing the first movie, Tamagawa was put in charge of the short Pikachu's Summer Vacation (1998). In those days, you see, Tamagawa and I would tackle the majority of the key animation for the Studio Cockpit episodes ourselves. One day I was asked if I would be willing to do the key animation for some of the TV episodes by myself while Mr. Tamagawa was off working on the movie and I said "sure." And so I ended up doing two episodes9 as both the animation supervisor and the key animation director. Footnote 9: Those two episodes are Episode 56 "The Decisive Battle! The Guren Gym!" and Episode 63 "When Yadon Becomes Yadoran.” Both aired in 1998. After the movie was finished I thought things would go back to the way they were but it seems like OLM asked if Studio Cockpit would be willing to make two separate teams for Pokemon, a Team Tamagawa and a Team Iwane. I took this to mean that those two episodes I did must not have been too bad after all. I agreed, and ever since then I've been doing the key animation all by myself. But there's no way I could do everything all the time, y'know. During the Pocket Monsters Advanced Generation period (2002), Tatsuya Annoura, Takeshi Moride, Mitsuzumi Yoshino, and Masahiro Yamanaka were all added to the key animation staff. When they got promoted from in-betweeners to key animators it was thought that suddenly having them taking on less outside work and more in-house stuff for Studio Cockpit would help them grow. That then transitioned into them finding their way into the episodes I was working on. I'd let them work on some of the key animation and, once they got good enough they would leave the nest and would get work on other projects. Animage: So basically for the episodes where you're both the animation supervisor and you have in-betweeners working with you, you do most of the key animation yourself and let the new up-and-coming in-betweeners help out in small parts here and there. Iwane: The most number of cuts they'll do is somewhere around fifty. Fifty cuts among all of them. Animage: So if there are 350 cuts in total, then you do 300 of them. Animage: In addition to the episodes where you do solo key animation, you also help out with other episodes in the rotation as well. Iwane: That's right. Lately I've only been helping out with the episodes being done by Studio Takuranke. When we were in the Team Iwane / Team Tamagawa era I would help out with the Team Tamagawa key animations and maybe some of the other shows OLM was working on as well. Animage: When you're acting as the animation supervisor and doing solo key animation, you do everything from the layout stage onward. So you can arrange it so that you also get to work on the composition and editing if you want. Iwane: Sometimes I'll take the rough storyboards that Mr. Asada draws and clean them up, and as I'm doing that it makes me want to just go ahead and work on the composition. Animage: How often do you do this type of clean up work for episodes? Iwane: Mr. Asada drew everything for the Mega Evolution specials. Outside of that I do quite a bit of clean up animation. 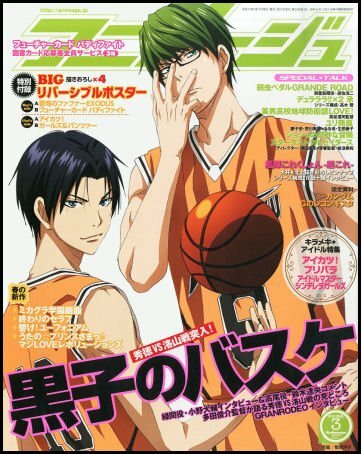 Animage: I see. Let's go back to talking about the number of drawings. When we were doing a separate interview for Pokemon, OLM said that "The episodes that Mr. Iwane works on might look like they use more drawings than the others but that's not the case. But because his action cuts are big and flashy, it looks like they're moving more than they actually are." And I agree with that. You don't use any more drawings than any of the other episodes do. On top of that, when you're told to make an episode using x number of drawings, you stick to that limit very closely. Iwane: Exactly. When I'm drawing I think of how I can make the movements seem bigger. I probably have some episodes that unfortunately went over budget because of my miscalculations but I try to stick to the limits as much as possible. Animage: If you use a lot of drawings for the conversation and the gag scenes then you'll go over the allotted number of drawings for the episode and won't have enough left for the action scenes. So you only add to those non-action scenes when you have some drawings left over. Iwane: That sounds about right. Because I personally don't want to use up all my drawings on simple conversations we have to end up having a lot of scenes where they just move their mouths and nothing else. Putting aside whether that's good or bad at the moment, I try to reserve my drawings for the really big moments in the episode. Animage: And as you alluded to earlier, you're able to make those episodes very lively since you're the only one you have to worry about. If you have multiple people working on a single episode then you can't just tell one person that since the scene they're working on is just a simple conversation that all they're allowed to do is have the mouths open and close. Iwane: (laughs) That's right. Every drawing that you don't use for a conversation scene can then be used for an action scene. Stop when you need to stop and move when you need to move...if you do it that way then your episode will have just as many drawings as all the others. Animage: What is it like drawing the more simple pokemon, from an animator's perspective? Iwane: The simple characters are easier to animate and you're therefore able to use more drawings per character. But pokemon with words like "Mega" or "Primal" in front of their names have a lot of lines and are therefore a lot more difficult to draw. The difference between producing ten drawings of Pikachu and producing ten drawings of Mega Rayquaza is night and day. From a purely drawing point of view there is that part of us that's happy when we're given the more simple characters to draw. Animage: Shows where you can really enjoy watching the characters' movements is kind of limited in this day and age. Pokemon is one of the few modern shows where the audience can still do that and you're the one who's the best at it. Iwane: Thank you very much. As you said, watching the way things move is what's so interesting about animation. And in animation the drawings are just one part of the incredibly complex machine that makes up the overall picture. That's why, when I think about the way things are now vs. the way they were back in my day, I think things are harder now. Let's look at robots, for example. I drew robots when I was working on the Brave series but that series generally didn't use any kind of shadowing or shading, you know? And even though these days the number of hand-drawn mechas have decreased the ones that are still being done look fantastic. I remember feeling amazed that they put in so much detail with the hand-drawn animation when I watched Gundam Build Fighters (2013). Animage: The number of shockingly good drawings has been increasing in TV animation, hasn't it? Mr. Iwane, you worked on all the Brave series, didn't you? Iwane: Yes, that's right. I had a lot of fun working on the Brave series. I remember going to a meeting for the first series, (Brave) Exkaiser (1990), and being told by the story producer Naotake Furusato that they wanted to make a series where nobody from any of the animation magazines would bother to come and interview us about it. "We just want to make something that children can enjoy. So, for example, if a missile is fired in this week's episode and then a laser comes out of that same weapon the following week then it won't really bother us. That's the kind of stance we want to take while making this." When I heard this, I thought it was interesting. Robots had been becoming more and more real as time went on so to take on a devil-may-care attitude like that was refreshing. Animage: It was a kind of back-to-basics series, wasn't it? Iwane: There was something else that surprised me about Exkaiser. I arrived at Sunrise's Studio 7 for a meeting a little bit early one day before anyone else had arrived. In the room where we were going to have our meeting I saw cardboard boxes stacked around the room filled with the drawings for the stock footage and opening animation10. I pulled out some of the key animation drawings that had been done by Mr. (Masami) Obari and was blown away. "Wow, this is the kind of key animation they're doing here!" I thought. Compared to what I had seen at Studio Cockpit with shows like Kinnikuman and Fist of the North Star the lines they were using in the key animation for this series was something else. The ones used in the Studio Cockpit shows tended to be thicker. Footnote 10: DN is short for Duplication Negativefilm, which we would call stock footage in English. These are scenes like robots combining together or special attacks scenes that are used over and over throughout the course of a series. Masami Obari is an action animation expert and was in charge of the opening animation and stock footage for Brave Exkaiser. Animage: The thick lines that Studio Cockpit likes to use are really bold and make quite an impression. Iwane: For a while that's what I thought key animation drawings were supposed to look like. But when I saw Mr. Obari's key animation drawings, especially the ones he did for the show's stock footage, I noticed just how thin he kept the lines. But that's not even all! I sat there and studied these key animation drawings for a while but no matter how long I looked at them I just wasn't able to imagine how the whole thing would come together. When I finally saw how they were used in the opening when it eventually aired on TV I was blown away once again. "Ohhh, so that's how such and such drawing was used" I thought. That's what I learned from working on the Brave series; that there's this whole other way of drawing key animation that I had never thought of. 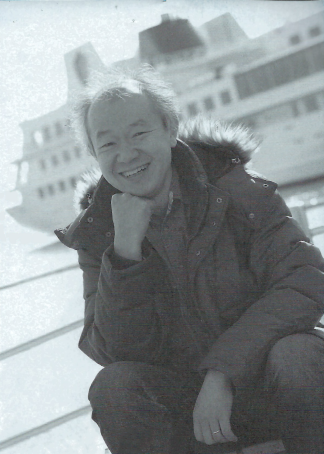 Up until then when you thought of action animation you thought of Mr.Yoshinori Kanada as well as someone who had a different way of looking at things, Mr. Ichiro Itano. But Mr. Obari's action scenes were different from what either Mr. Kanada or Mr. Itano were producing. And I could feel a new way of doing things developing at that time. Lately I've been looking at the work of Mr. (Yoshimichi) Kameda's and have been really shocked at how good it is. Animage: I assume the work of his you saw was the second Fullmetal Alchemist series (2009)? Iwane: That's right. I really like powerful key animation drawings like his and was surprised to see artwork like his pop up in this age of digital animation. He used thick lines just like in the old shows but it's not just the drawings whose quality have increased over time. The animation itself has evolved as well. Animage: Earlier we talked about the Brave series but now I'd like to talk about something even older. Mr. Iwane, you're from the generation that was right in the middle of the animation boom, aren't you? Iwane: That's right. The boom that was caused by the runaway success of Yamato? Animage: Kids who were being born and raised on animation were blown away when Space Battleship Yamato (1974) ("Star Blazers") started airing. Iwane: They were. I started out by watching reruns of black-and-white shows like the first Tetsujin 28 (“Gigantor”) series from 1963 and Rainbow Sentai Robin from 1966 but I don't remember too much about them. Later I really got into Kamen Rider (1971) for live action and Mazinger Z (1972) for animation. But starting with the sequel to Mazinger Z, Great Mazinger (1974) and then later with UFO Robot Grendizer (1975) I started watching cartoons less and less. Animage: This might not be the case now, but back then a lot of kids "graduated" from animation by the time they became fifth graders. Iwane: Normally that was the case (laughs). I got into Yamato after I had hadn't been watching animation for a while but I didn't become a fan while it was still airing. I feel like I was probably watching the other shows that were on during Yamato's timeslot like Heidi, Girl of the Alps (1974) and especially Army of the Apes (1975). I was aware that a show called Space Battleship Yamato existed but I never actually watched it. But I had a friend who was really into Yamato and so one day I was convinced to go with them to the theater to see the movie (1977). I remember watching it and thinking “Oh wow this is amazing!” The following year I saw the next movie, Farewell to Space Battleship Yamato (1978) and my interest in this thing called “animation” just grew and grew. This might not be the case today but back then animation wasn't something that was first and foremost in most kids' minds. Animage: This was the time when parents would refer to animated shows as "TV comics" and the kids would fire back "they're not TV comics, they're cartoons!" Iwane: That's absolutely right (laughs). I thought "cartoons are amazing!" I was able to recognize that the art was evolving and becoming more and more spectacular. I remember thinking that the Planet Maetel scenes in the Galaxy Express 999 movie (1979) were amazing even though I didn't understand what was going on. Animage: Are you talking about the part Mr (Yoshinori) Kanada did of all that destruction before the big explosion? Iwane: It was actually everything from the scene that Mr. (Kazuhide) Tomonaga did onwards that I thought was so well done. Stuff like where Captain Harlock is walking, you know11. I also thought the car chase scene in Lupin the Third: The Castle of Cagliostro (1979) was really cool. Come to think of it that was also done by Mr. Tomonaga as well, wasn't it? Well anyway, everything in The Castle of Cagliostro was amazing, not just the car chase (laughs). I started to pay attention to Mr. Kanada's name at around that time but I wasn't really aware of Mr. Tomonaga yet. Some time later, I remember watching the second Tetsujin 28 series (“The New Adventures of Gigantor”) (1980) and Six God Combination Godmars (1981) and thinking that something really special is going on. Footnote 11: In Galaxy Express 999 The Movie the animation for the climax on Planet Maetel was led by Yoshinori Kanada and Kazuhide Tomonaga. The incredible animation in this scene makes it a fan favorite. “Captain Harlock is walking” is talking about the scene where Captain Harlock is walking toward the camera as he's shaking. Animage: By that time you had started working on your independent film, hadn't you? Iwane: My independent film was maybe being worked on right around the time Godmars was airing. I heard about Daicon III Opening Animation (1981)12 from an animation magazine and when I read the article about it I thought "Eh!? I can make that!?" I had already known by that point that it was technically possible for amateurs to make their own animation but it's thanks to this Daicon III article that I realized this was something I could actually do. Footnote 12: Daicon III Opening Animation is a short film made for the 20th Japan SF Convention. It was produced by Hideaki Anno, Takami Akai, and Hiroyuki Yamaga while they were still students. Once I realized this I couldn't not make my own animation and so I started working on my independent film during the summer vacation of my third year in high school. I had no idea what I was doing so I went to a stationary shop, bought a bunch of high-quality B4-sized paper, cut it in half to make them B5-sized, and then drew my animation on that. I didn't use a peg bar and just lined up the drawings by the corners instead13. I didn't know that things like time sheets existed so I figured out which parts of the images wouldn't be seen and would make notes in those areas to keep track of what's what. I would then photograph the entire thing on 8mm. I worked on this from the start of my summer vacation until it was time to start working on our school cultural festival. Footnote 13: “Line up the drawings by the corners” means not using peg bars to steady your drawings but instead using the corners of your paper or cel to line up your shots when drawing, photographing, etc. Animage: You later went to a trade school to work on another independent film. Which trade school did you go to? Iwane: I went to the Osaka Designers' College. My classmates Mr. (Kazunori) Mizuno and Mr. (Noriaki) Satou are still in the industry working as animation directors. Mr. (Yoshihiro) Nagamori and Mr. (Shinichi) Yoshino are working as animators, and Ms. (Naomi) Kasugai works on backgrounds. I guess there are a lot of of us still around, huh? Animage: What was the reason you joined Studio Cockpit? Iwane: Because there were these want ads that included compensation information at my college. A lot of the studios were advertising incentive-based compensation but places like Toei Video (now known as Toei Animation), Pierrot, and Gainax offered regular salaries. So my goal was to get into one of those three. I failed the exams to get into Toei and Pierrot and since Gainax had only just started up and I was an experience-less nobody they passed on me as well. So I decided to try for a studio named Anime R there in Osaka. At that time I believed the studio to be in its golden age. Animage: What were they putting out back then? Iwane: This was around the time Layzner (Blue Comet SPT Layzner) (1985) started. Animage: So it really was the studio's golden age, huh? Mr. (Kazuchika) Kise was working there back then, right? Iwane: And Mr. (Hiroyuki) Okiura, and Mr. (Toru) Yoshida. So I didn't really think I had what it takes to even ask to join this company. Animage: But you ended up being able to work on Space Battleship Yamato several times after becoming an animator. You were also able to work on the Playstation game Yamato (1999)14, right? Footnote 14: Here the two of them are talking about the trilogy of Playstation / Playstation 2 games Space Battleship Yamato: The Distant Planet Iscandar, Farewell, Space Battleship Yamato: Warriors of Love, and Space Battleship Yamato: Revenge of the Dark Nebula Empire. Animage: And since you loved Yamato so much that must have been a dream come true. Iwane: I had been telling the president of Studio Cockpit that I wanted to work on Yamato from the very beginning. The first chance I was given was on the OVA Yamato 2520 (1995) where I did the key animation for all three episodes. Another Leiji Matsumoto production I worked on was Queen Emeraldas (1998) for OLM. After working on the Playstation Yamato game I worked on Great Yamato #0 (2004). Animage: You also worked on Space Battleship Yamato 2199 (2012). You've been involved in pretty much all the modern Yamato stuff, haven't you? Iwane: Maybe it was because my drawings looked too much like comic book drawings. Animage: I suppose your drawings weren't as sharp as Mr. Kogawa's? Iwane: I think that was it. I was busy trying to keep up with the Pokemon TV series and movies and just didn't have the time. So when I submitted the drawings that I was able to do Mr. Kogawa took a look at them, said "what this crap?”, and rejected them. Animage: Which of the Yamato projects that you worked on do you think had the biggest impact? Iwane: I think maybe 2199, but that may just be because that's the freshest in my memory. Originally 2199 was outsourced to Studio Bones so the fact that I even got to work on it was pure coincidence. I got an e-mail from Studio Bones with an offer for a different job but I had to decline since I was so swamped with Pokemon. So I said "I'm sorry but I'm busy with other obligations and cannot commit to this. If it was Yamato then I'd try to make it work somehow but..." And they were kind enough to respond with "Well now that you mention it, Yamato's been outsourced to us. If you'd like we can try to set something up." Personally, if I had done just this one project for Studio Bones and gotten my name attached to it then 2199 would have been plenty. But when I went to Cockpit's main office Mr. (Keisuke) Masunaga would be there sometimes and say things like "We're going to be working on a Rainbow Star Cluster episode (of Yamato)...so how about it? Wanna work on it?" I would hear this, get interested, and then that'd be something else I'd end up working on. I also really wanted to work on that year's movie, Space Battleship Yamato 2199: Odyssey of the Celestial Ark. But since I was so busy with the Mega Evolution specials at that time there wouldn't have been much I could have contributed. And I felt like it would have been rude to just call Xebec directly and ask to be allowed to contribute so little and so my plan was to go through the company that Xebec outsourced the movie to and get help that way. But in the end that company didn't get the assignment and so I didn't end up being able to work on 2199. Even now I'm torn up about it. Animage: You're such a huge fan of Yamato that you've put up galleries of your Yamato cel collection on your homepage. The fact that you've been able to work on so many Yamato projects while being such a huge Yamato fan must be like a dream come true. Iwane: I've been incredibly lucky. Especially when it comes to the Playstation game and how Studio Cockpit was assigned to work on it from time to time. It was just me being at the right place at the right time. Animage: The character designs for the Playstation Yamato game were done by Mr. Keisuke Masunaga, right? You really get the feeling that the game was made by people who live and breathe the series. Iwane: The animated cut scenes for the first one were going to all be made exclusively by Studio Cockpit but about halfway through it seems that people from other studios decided they wanted to work on it and so they were brought onboard. When I saw the characters Mr. Masunaga designed, I was really moved to see that how Leiji Matsumoto's characters could be designed in such a way. Animage: Switching gears for a bit, I can't not talk about the shows that many regard to be classic Iwane, Gatapishi (1990) and Dororonpa! (1991). I watched every episode of both shows to prepare for this interview! Animage: They're both streaming on GYAO! at the moment. The second project had you doing the storyboarding, animation direction, key animation, animation supervision, and in-between animation all by yourself, right? Iwane: I started working on the key animation for Gatapishi in my second year on the job. You know how when you're young you think you can do anything even though you have absolutely nothing to back that up with? Well, I wanted to be an animation director instead of just a regular old animator so I took one of the scripts the company had lying around and made a storyboard for it. I showed my storyboard to the president of the company and asked him to let me be the animation director. Later, we were out drinking in the park and the subject of Gatapishi came up again. The president, who had had a few drinks by that point, looked at me and said “Hey you, do ya wanna be the animation director?” And I answered "Yes!" So, while it was still fresh in his mind, I approached him again the following day and asked him if he remembers what he said yesterday just to make sure it wasn't just the alcohol talking. But not only did he remember, he actually called up Shin-Ei Animation for me, right then and there. I was now officially the animation director for Gatapishi. When I went to a staff meeting sometime later the president took me aside and said "I told them that you have animation director experience so don't screw this up for me." But maybe they found out anyway (laughs). I didn't know what I should do during filming or how to do retakes after a cut. The first episode I was put in charge of Shin-Ei Animation provided me with a storyboard and I started working on the animation but for the second one I was given a script and did the boarding myself. And then, from about the halfway point of the series I started working on the in-between animation as well. After Gatapishi ended I started work on Dororonpa!. The director of Dororonpa! was Mr. Tetsuo Yasumi and I remember him giving me the freedom to do things the way I wanted. I ended up losing that freedom after Dororonpa! and these days I always do everything from the storyboard to the actual animation. Animage: So you basically made entire rolls of film by yourself which is what helped you get the solo key animation job for Pokemon, right? Iwane: That's right. The whole thing is like making an independent film, y'know? I draw the storyboard and do everything up to the animation all by myself. I've gotten to know the unique feeling of excitement of doing everything compared to just working on only the animation part of it. I think the feeling of me wanting to do as much of the key animation for Pokemon that I can to and the juggling of all the work I do is fun in and of itself. I'll work on about 50 cuts per project at a time and it's nice to have so much variety. Animage: The episodes of Gatapishi that you were in charge of have a real A-Pro feel to them15. Footnote 15: "A Production" is the former name of what's now called Shin-Ei Animation. The show with the most quintessential A-Pro feel to it is Dokonjou Kaeru with its super deformed drawings and its smart use of its limited animation. Animage: That's how I felt. Were you aware of this (at the time)? Iwane: I liked the way those projects are animated so even if I wasn't trying I think I may have inadvertently mimicked them. Ever since then, if I drew everything up to the in-between animation then I could give every drawing a key animation-type pose. And if we do that and try to be like Dokonjou Kaeru then the number of actual key animation drawings gets higher and higher. So it's a lot easier for me to just do all that myself. Animage: You mentioned earlier how you were paying attention to Mr. Kanada back when you were first interested in animation. What influence has his work had on yours? Iwane: I'm not making a conscious effort to copy his work or anything like that but I feel like that's sort of how it happened anyway. Before Mr. Kanada, I saw shows like Dokonjou Kaeru and the animation being put out by people like A-Pro's Mr. (Tsutomu) Shibayama and probably also that Big League Ball Number 1 scene that (Shingo) Araki drew16. As a kid, I thought how amazing it was and I think that stuck with me. So I think Mr. Kanada's left a large impression on me. Footnote 16: “That Big League Ball Number 1 scene that (Shingo) Araki drew” is referring to Episode 86 of Star of the Giants, “The Home Run Covered in Scars.” It's an episode seen by many as being a masterpiece. Animage: Are there any other animators or projects that's influenced you? Iwane: Not that I can think of. Animage: Did you come up with your own style as you worked? Iwane: I did. Even if I didn't know who drew something I thought was cool I would try to mimic it a little bit. I think that kind of thing probably adds up over time. When I looked at the key drawings Mr.Obara did for the Brave series I tried to imitate them but I wasn't able to. But who knows, maybe trying to figure out how Mr. Obara drew this or that wasn't a waste of my time after all. Animage: Let's go back to Pokemon. Are there any episodes that left an impression on you or any that you put a lot of work into? Iwane: I'd have to say the Mega Evolution episodes I'm working on now. That's because the scale on these things is a lot different to what I'm used to. I never even dreamed that I could work on Pokemon for as long as I have. Animage: And now we're coming up on the 20th anniversary very soon. Iwane: The 20th anniversary is just around the corner. And I never thought I'd be with OLM all that time either. Animage: Looking back on your life as an animator, you seem to be someone who loves the actual animation aspect of the work. Iwane: You might be right. I've done a lot of work over the years but since I love animating things then I tend to work on things that have a lot of movement when I have a choice. Animage: If you had to choose between Yamato or not-Yamato you would choose Yamato, correct? Animage: And if you had to choose between "moving" and "not moving" you would chose "moving"? Iwane: Yes. I would choose "moving." Animage: And that's why you're able to focus on the animation in Pokemon as well as you have? Iwane: It really has been a big help. However, I've also worked on animation where I'd even fill in drawings that didn't convey a lot of movement. I've done all kinds of work for my job. And since we're maybe heading into the age where we're going to have to draw on tablets instead of drawing on paper I've been practicing doing animation on tablets as well. I don't know if there will ever come a time when all the 2D animation on TV is replaced with 3D CG and so I've started studying 3D as well. Animage: Before this interview you showed me some of the 3D you've been practicing with and I have to say it was really wonderful. Iwane: Half of me did it because I'm studying 3D and half of it was because I actually have an interest in doing it. I would personally like to continue drawing on paper for as long as I can but the world of animation moves so quickly that I don't know what's going to happen next. In either case I think it's definitely better to have knowledge of 3D animation. This interview was conducted on January 11th, 2015 in Kobe, Hyogo Prefecture.